I actually think my persistence has paid off and I am caught up on my 2013 BOMs! Of, course that does not include my current October blocks but having been three months behind on my castle blocks and catching up feels incredible. I still need to make my last two Skillbuilder blocks but they actually come out with the new patterns around the middle of the month so for now I am claiming current status. The Skillbuilder blocks are appliqued blocks so before long I will be behind but I actually finished the others for the skillbuilder so I am saying heck yeah...go me...for the moment anyway!!! While the curve piecing was challenging in Candyland, I pulled it off. I will admit it was not my favorite and it will be a long time before I use this method in my projects again. However, I really enjoyed the process used in the Saturn block. 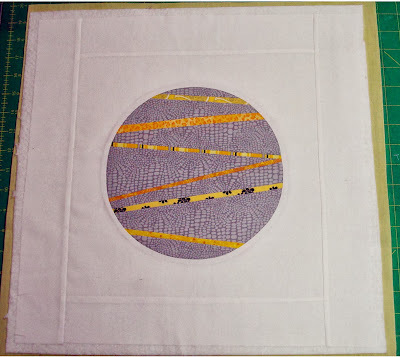 I think the resulting circle is amazing and I can see that a whole lot of these in a quilt, maybe with something different in the middle would be awesome. I didn't own a circle cutter until today. I bought the Olfa Circle cutter and it works fantastic. 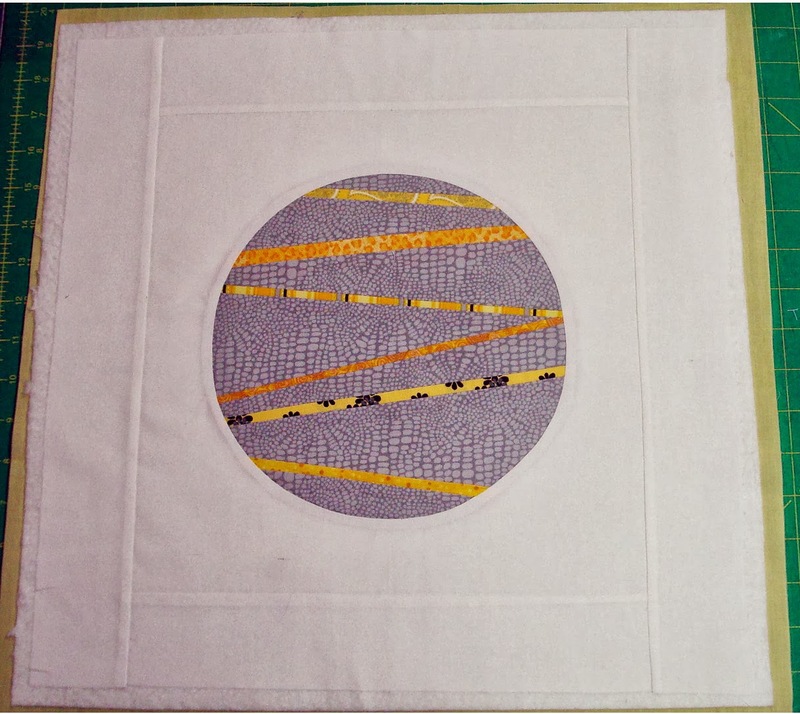 Alyssa from Pile 'O Fabric explained the process used to inset the fabric into the circle beautifully in Lesson #7. You could put whatever fabric (or block) into that circle and I will have to try to create something unique with this method soon. 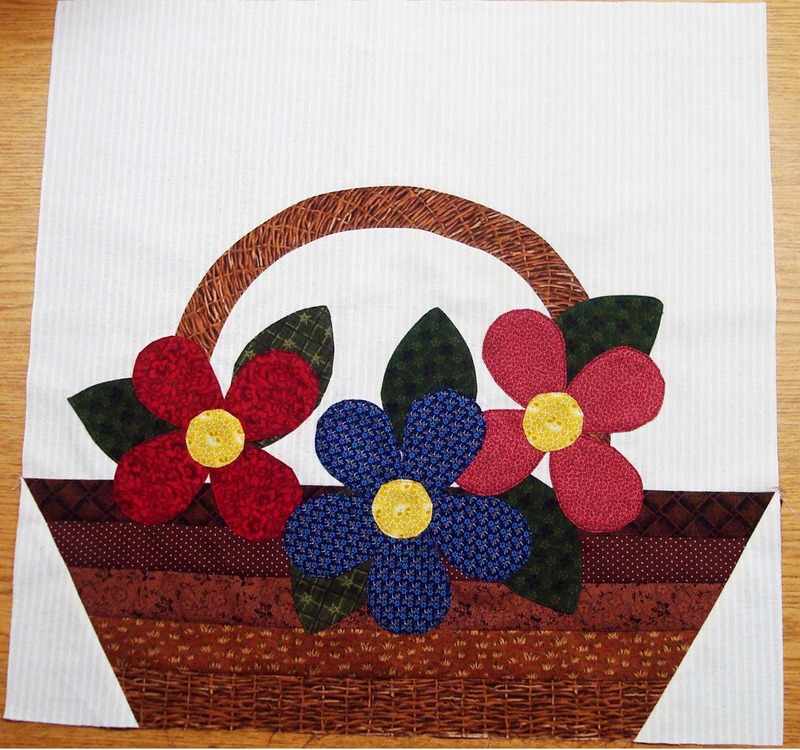 The craftsy August/ September block entailed applique. YUCK...I hate this method. Yet I can see it's value and even admit to loving looking at applique blocks...I just haven't found a great method for me, one that I can enjoy and feel I can master, so I usually prefer to avoid it. A couple of these BOMs are teaching new skills so I am committing to giving it my best shot. October will be a busy month still. My castles are caught up but the October block is a hard block and I will have to do it three times. So I had better start those soon. The And Sew On BOM is drawing to a close but I need to get the blocks sashed and bound. The Craftsy block of the month top is supposed to be put together by the end of the month, also. I joined a couple swaps, I need to complete two mug rugs this month to ship off to my partner, Nanette in Australia and when my Kate Spain fabric arrives, cut it up and ship it off to Michele over at Quilts from my Crayon Box. 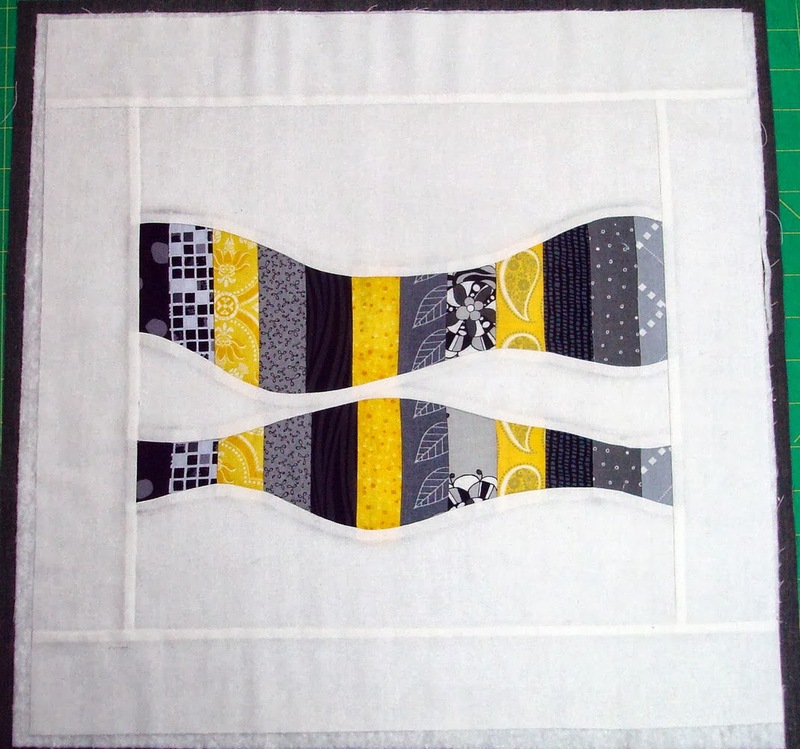 I think she might still have openings in her swap if you are interested in swapping 5" charms with a group of quilters find out more by visiting her blog. I LOVE both Candyland and Saturn. The colors are fabulous. I am with you on the applique. I'm just not a fan of my work. I'm in the Kate Spain swap too. It should be fun.